with many restaurants nearby. 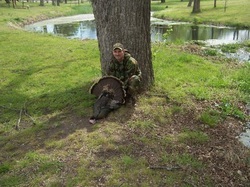 The prices of our hunts include: land access, hunting guide, field dressing, and packing the animals out of the woods. 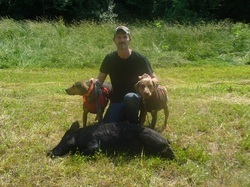 We have a high success rate, but since this is free range hunting a kill is not guaranteed every hunt. Skinning and processing of the animal is not included, but can be done on request for an additional fee. All deposits are non-refundable. Hunting dates will not be made without a deposit. Deposits can be made through PayPal at the bottom of the screen.